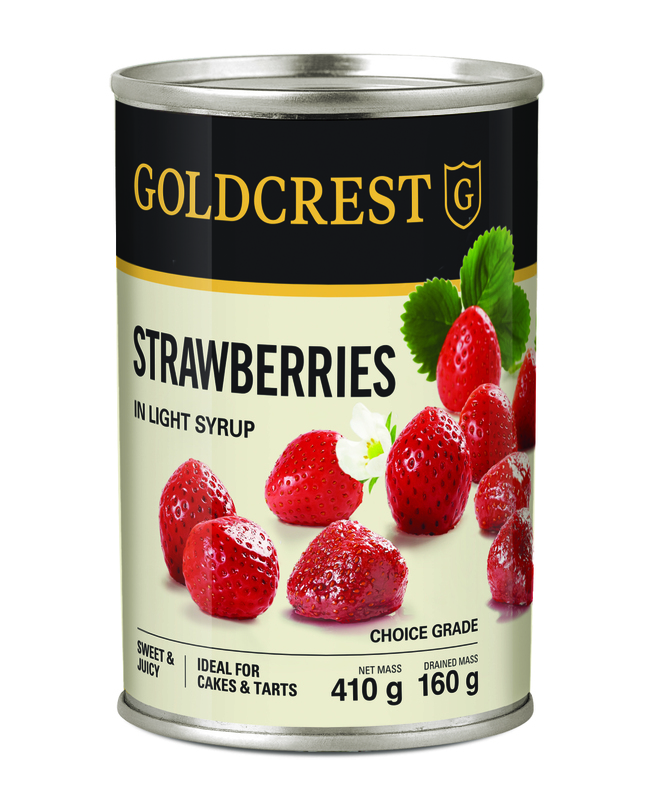 Drain 2 tins GOLDCREST Strawberries in light syrup. Set aside. For the custard, in a large bowl, combine 4 eggs and 100g sugar, whisk together until the eggs turn pale yellow. Slowly add the flour while whisking to avoid lumps. 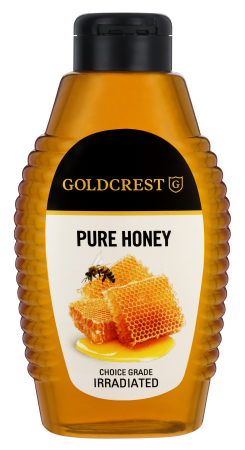 Pour in the milk, cream, vanilla and honey. Whisk again until fully incorporated. Butter the bottom and sides of a 25cm ceramic quiche dish. 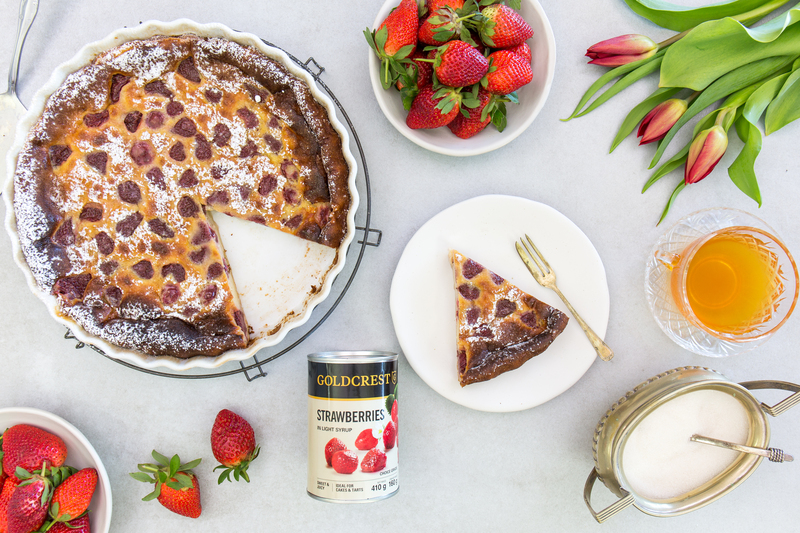 Spread the strawberries out evenly in the dish. Pour over custard liquid. Bake for 35 minutes at 210˚C.